Tata H5X SUV becomes Tata Harrier! Tata Motors will call the H5X SUV’s production version the Harrier, reports Autocar. The Harrier is already the name of the project under which the H5X has been developed, and Tata Motors is said to be a week away from freezing the name of the upcoming SUV. An official announcement of the same is expected to come next week. What this also means is that the 7-seat sibling of the Harrier (H5X) could also get a different market name, and so could be the case with the 45X code-named premium hatchback that Tata will launch next year. Meanwhile, the Tata Harrier will arrive into the market early next year. The Tata Harrier is based on the Land Rover LS550 platform, which also underpins the Discovery Sport. However, this platform has been modified for Indian conditions and cost sensibilities. So, what we’re likely to get in the Tata Harrier is an SUV that rides like a Land Rover but is priced somewhere between the Hyundai Creta and the Mahindra XUV500. 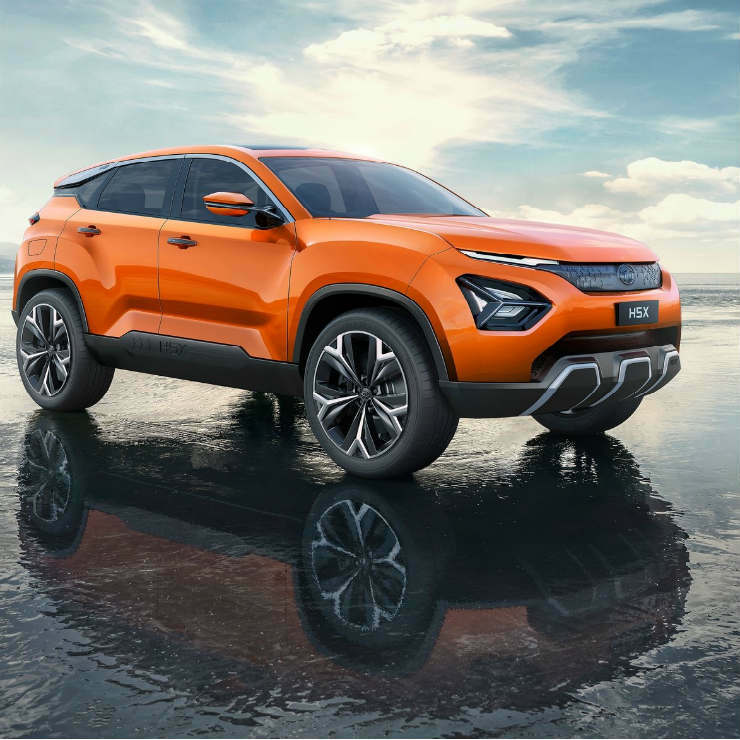 As for market positioning, the Tata Harrier will be a five-seat SUV that will have enough luxury features as well as decent off-road capability. Yes, the SUV is expected to be offered in two variants – front-wheel drive and all-wheel drive. It’ll be built at the Tata-Fiat joint manufacturing facility at Ranjangaon, near Pune. The Tata Harrier’s Fiat connection goes beyond just the production facility. This SUV will use the 2-litre Fiat Multijet turbocharged diesel engine, which it will share with the Jeep Compass, but in a different state of tune. The diesel motor is expected to put out 140 Bhp-320 Nm on the Tata Harrier. A 6-speed manual gearbox will be standard and Tata could also offer an automatic gearbox option. For now, there’s not much clarity about this vehicle’s petrol engine, which is also expected to be offered eventually.